The Persimmon tree can reach anywhere between 15 and 60 feet in height, is round-topped, and can sometimes have a willowy appearance, with deciduous, bluish-green leaves that are glossy on the upper surface and silky underneath, and turn beautifully to yellow, orange and red in fall. Persimmon fruit ripens in late fall, and varies in size from approximately 0.6 to 3.5 inches in diameter. The fruit’s skin color ranges from yellow-orange to dark red-orange, and it is notably sweet and high in glucose content. 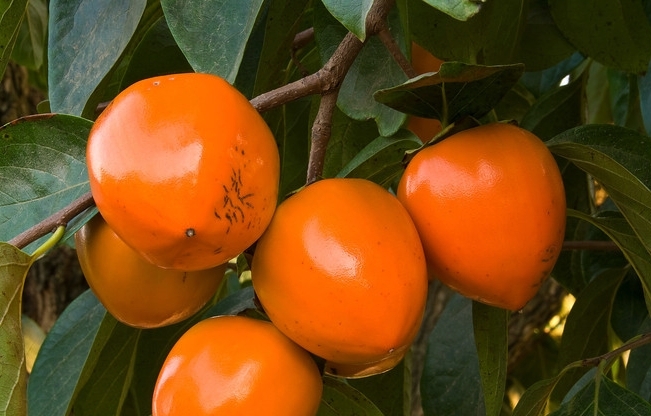 A non-astringent variety, the Jiro Fuyu Persimmon is a perennial tree, with fruit that is eaten fresh, dried or cooked. The hard wood of the tree is also used for making furniture. The most widely cultivated Persimmon variety, the Hachiya is native to China, and produces large-sized fruit in November. 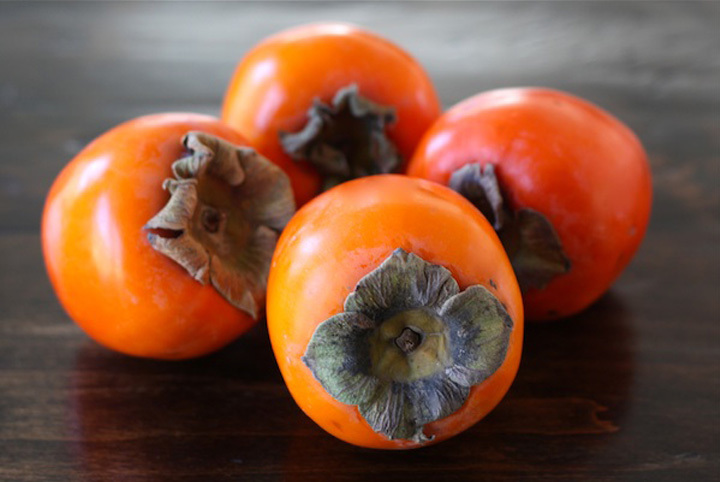 Hachiya Persimmon fruit is edible fresh-picked from the tree, and tastes best when allowed to soften slightly after being picked. It is also ideal for cooking.